Recreational cannabis becomes legal in Canada today. But behind the scenes, Prime Minister Justin Trudeau is waging a war on drugs. 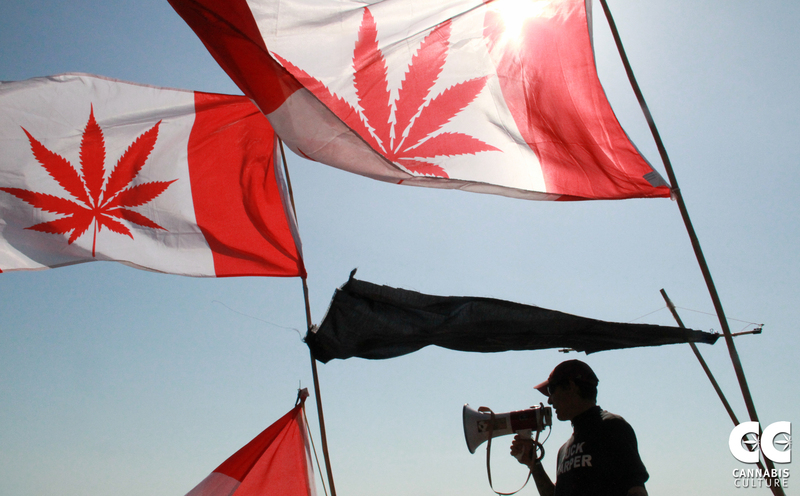 Bill C-45, the Cannabis Act, makes Canada only the second country in the world to legalize recreational cannabis use. The move has been long awaited following Trudeau’s campaign promise back in 2015. However, just weeks before the legalization bill came into effect, Trudeau shockingly joined US President Donald Trump’s War on Drugs. At the United Nations General Assembly on September 24th, Canada became one of the 130 nations to support Trump’s Global Call to Action on the World Drug Problem. Trump’s document was not drafted following the multilateral process typical of a declaration from the UN. The contents of the document were instead presented as non-negotiable. The declaration reiterates the primacy of international “narcotics control” efforts, emphasizing criminalization and the role of law enforcement. The document is also entirely void of any mention of “human rights.” This has prompted many to advocate for a more rights-focused approach to international drug policy. A non-partisan panel of the Global Commission of Drug Policy expected Canada not to sign the declaration, based on its history of skepticism towards Washington’s War on Drugs. In 2012, then-Conservative Prime Minister Stephen Harper expressed his disapproval towards the War on Drugs, stating that “the current approach is not working.” Trudeau’s support of Trump’s declaration has thus unsurprisingly been met with condemnation from health experts, mayors, police chiefs, and even members of his own Liberal Party. Some also mused that Canada had been essentially forced to sign the declaration due to rising US-Canada tensions amid the North American Free Trade Agreement renegotiations. This argument seems especially compelling considering that Mexico also signed Trump’s pledge, despite President-elect Andres Manuel Lopez Obrador repeatedly stating that the War on Drugs has failed. Trudeau has been rightly criticized for his hypocrisy, backing the War on Drugs just weeks before legalization would come into effect. However, this deceit impacts more than just Trudeau’s reputation. Bill C-45 is an attempt to regulate the cannabis industry by closing the illegal market. Through legalization, the law also aims to protect children and communities from illegal cannabis use. However, the Cannabis Act in effect today fails to pardon those with previous cannabis-related convictions. Currently, around half a million Canadians carry a criminal record for the simple possession of cannabis. Furthermore, a significant racial bias is evident in those who have been charged. In Toronto, black men are three times more likely to be charged with the simple possession of cannabis than white men. In Regina, Indigenous people are nearly nine times more likely to get arrested for cannabis possession than white people. Yesterday, it was reported that the Trudeau government will grant pardons for those with past criminal convictions for simple possession of cannabis. Specifics details are to be announced soon. The pardons will not apply to charges of possession of over 30 grams. Additionally, a pardon differs from record expungement. A pardon maintains that the crime occurred and issues executive forgiveness for that offense. Expungement goes further and seals one’s criminal record, erasing the crime from the eyes of the law. Ultimately, pardons for small possessions are only a band-aid solution as they fail to address the underlying racial bias of past convictions and represent no movement on decriminalization. University of Toronto sociology professor Akwasi Owusu-Bempah argues that “the lack of social policy direction in the Canadian context reinforces the fact that business and economic opportunity has always been the main impetus for legalization.” Bill C-45’s lack of social policy and amnesty reaffirms that Canada has been conducting its own war on drugs for decades now. Feature image by Cannabis Culture, via Flickr Creative Commons.